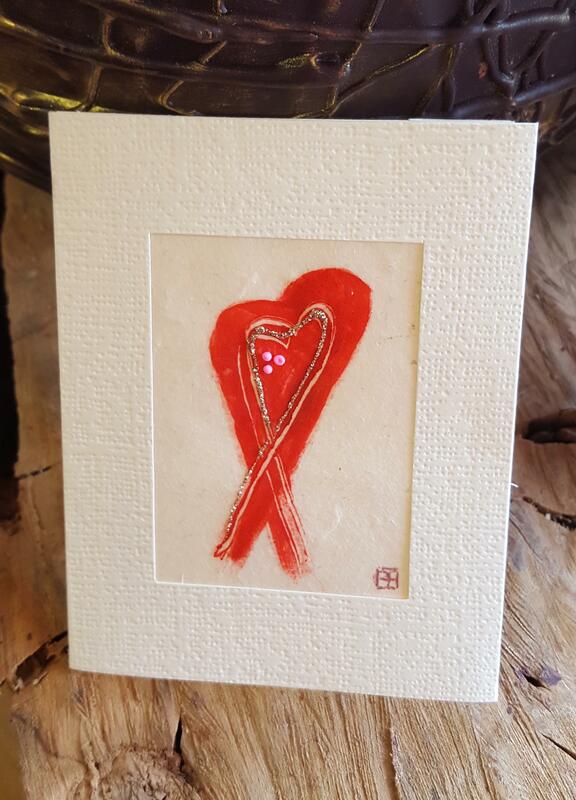 Add a beautiful artisan card to your gift to carry your message, be it love, appreciation, or a 'thank you'. 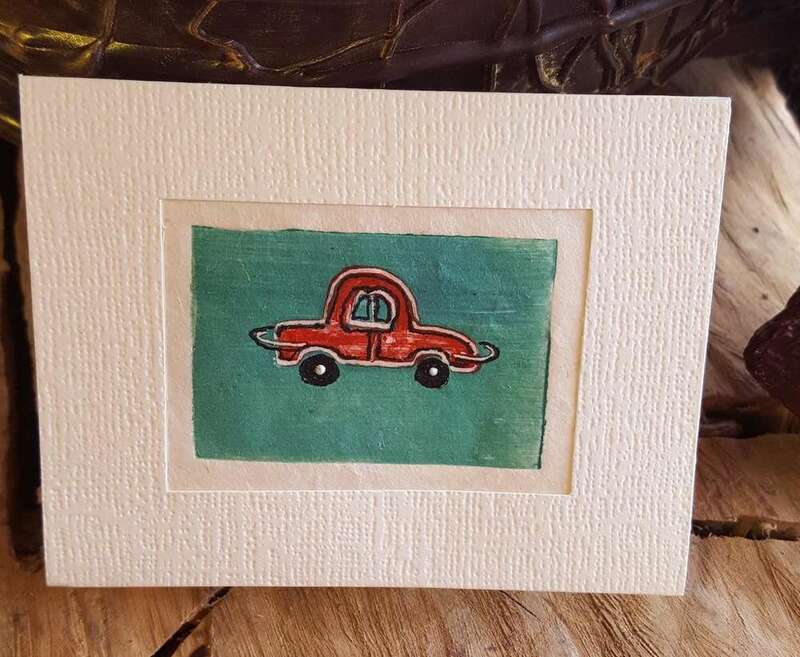 These unique, monotype pictures are set in a bi-fold cream linen look card, and are a small, mounted piece of art. Each card comes with a separate sheet on which we will print your message, and then attach it in the middle of the card. Multiple cards of each design are available, but no two will be the same due to the bespoke nature of the making. 4.5 inches long x 3.5 inches wide (ca. 115 x 90 mm). A beautiful handmade chocolate cocoa pod gift box filled with 12 of our fresh chocolates. Some of our best selling flavours are: Sea-salted Caramel, Mint and Maple*, Nicaragua*, Tanzania, Tonka, Cardamom, Coffee-hazelnut, Coconut, Ginger, Peanut Butter, Hazelnut, Orange, Lemon, Raspberry, Passionfruit &amp; Mango, Champagne, Plum Schnapps, Vodka Cherry, Rose, Violet, Geranium and Peppermint Creams. * Academy of Choclate and Great Taste Award winners.To see the our current assortment please check here: Current Flavours. When ordering one of our cocoa pods you can let us know your flavour preferences by using the "message" box at the bottom of this page.Dairy free, suitable for vegans. You can choose a no honey selection by choosing the option available.Shelf life &amp; storage:Made fresh with no artificial ingredients or preservatives, so eat as soon as possible, preferably within two weeks. Best enjoyed fresh at room temperature. Store in a cool, dry place.Each cocoa pod is individually hand-decorated, so no two are identical. Colours, shades and patterns will vary. 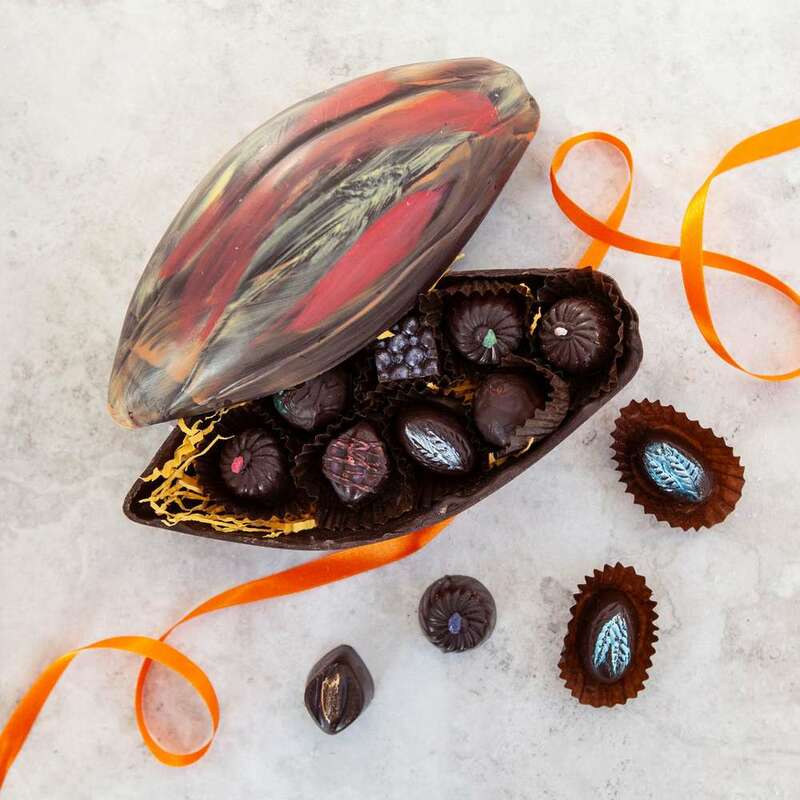 These chocolate cocoa pods are fragile, so you will receive yours in a box safely tucked up in food safe, eco-friendly and decorative shredded paper. If you are ordering your chocolates in advance for a specific date, please give us your required delivery date in the "Ordering for a specific date?" section below and we will send your order to be with you for that date.Add a gift message:Use the "Message" section below to add your personal message. 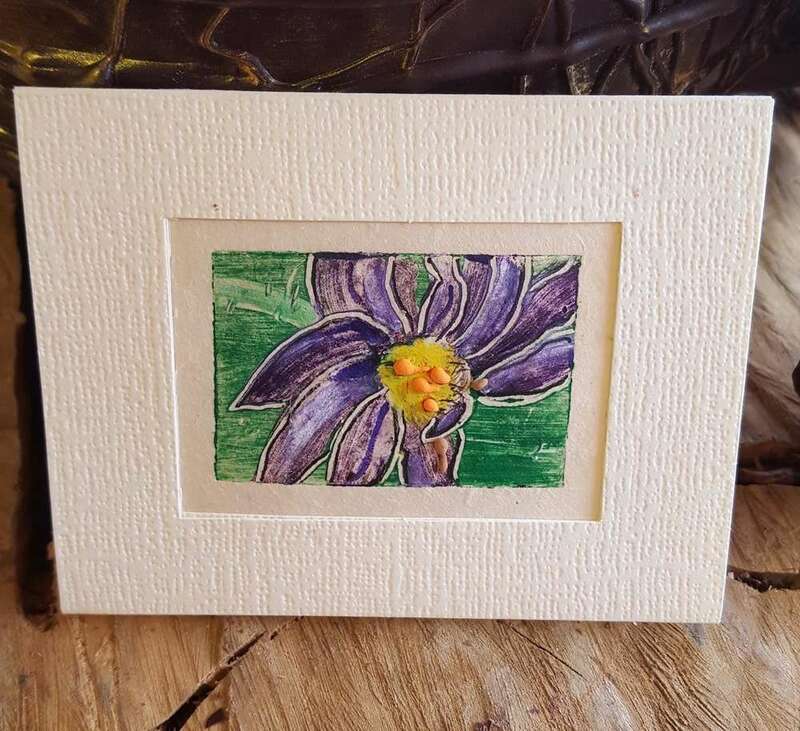 We will print this on our complimentary card, and include it with your gift free of charge.Alternatively you may choose to buy one of the lovely artisan cards we offer: Buy an Artisan Card. If you do so we will print your message using the card you purchase, and include it with your gift.You may also use this message section to let us know about your preferences, e.g. include Champagne truffles, no nuts, etc.Nutritional values of individual truffles, shelf life and storage instructions are listed on the About Our Chocolates page. Ordering for a specific date? A square 75% chocolate gift box with a lovely bow on the top, and filled with 12 or 18 of our fresh chocolates. Some of our best selling flavours are: Sea-salted Caramel, Mint and Maple*, Nicaragua*, Tanzania, Tonka, Cardamom, Coffee-hazelnut, Coconut, Ginger, Peanut Butter, Hazelnut, Orange, Lemon, Raspberry, Passionfruit &amp; Mango, Champagne, Plum Schnapps, Vodka Cherry, Rose, Violet, Geranium and Peppermint Creams. * Academy of Choclate and Great Taste Award winners.To see the our current assortment please check here: Current Flavours. When ordering one of our chocolate boxes you can let us know your flavour preferences by using the "message" box at the bottom of this page.Dairy free, suitable for vegans. You can choose a no honey selection by choosing the option available.Shelf life &amp; storage:Made fresh with no artificial ingredients or preservatives, so eat as soon as possible, preferably within two weeks. Best enjoyed fresh at room temperature. Store in a cool, dry place.Each chocolate boxis individually hand-decorated, so no two are identical. Colours, shades and patterns will vary.These chocolate boxes are fragile, so you will receive yours in a box safely tucked up in food safe, eco-friendly and decorative shredded paper. If you are ordering your chocolates in advance for a specific date, please give us your required delivery date in the "Ordering for a specific date?" section below and we will send your order to be with you for that date.Add a gift message:Use the "Message" section below to add your personal message. 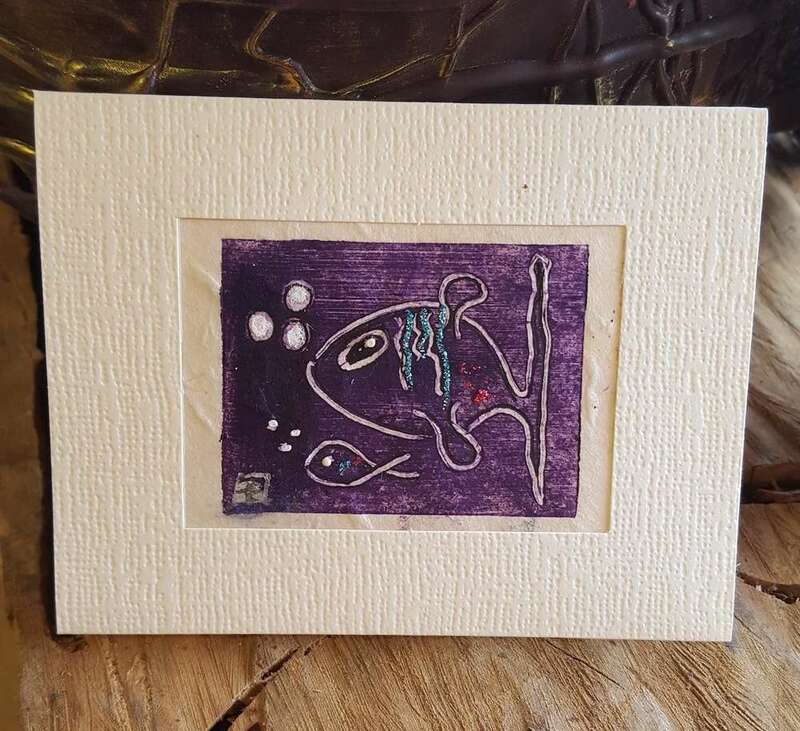 We will print this on our complimentary card, and include it with your gift free of charge.Alternatively you may choose to buy one of the lovely artisan cards we offer: Buy an Artisan Card. If you do so we will print your message using the card you purchase, and include it with your gift.You may also use this message section to let us know about your preferences, e.g. include Champagne truffles, no nuts, etc.Nutritional values of individual truffles, shelf life and storage instructions are listed on the About Our Chocolates page.